I’ve found a new training secret. And I even know how to pronounce it. The secret is quinoa (pronounced “KEEN-wah”), an earthy, nutty grain that’s super-high in protein and in minerals like magnesium and copper. I’d tried it before, but it wasn’t until Lara at Saturday Morning Zen suggested it as an easily digestible form of lunchtime fuel for an evening run that I truly fell in love. A quarter cup (dry) of my Bob’s Red Mill whole-grain quinoa actually contains 7 grams of protein and 3 grams of fiber. And thanks to my lunchtime experiment yesterday, I can confirm that it’s not only really easy to digest, but surprisingly filling: With the addition of a small snack in the afternoon, I was only hungry for one piece of pizza by my post-run dinner at 8:30 p.m. 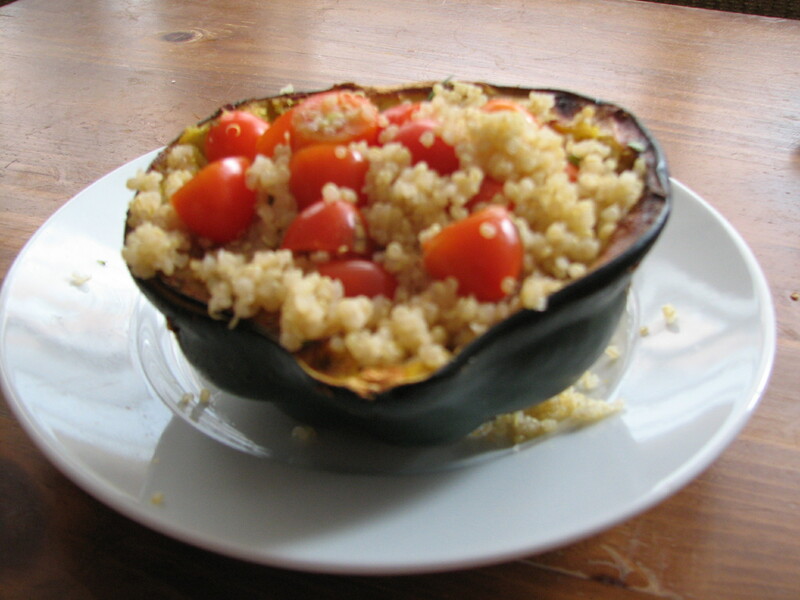 I cooked my quinoa lunch in chicken broth for about 15 minutes, tossed in cherry tomatoes and fresh rosemary and oregano from my garden, and then stuffed it inside half an acorn squash. Delicious! And get this: You can eat it for breakfast, too! 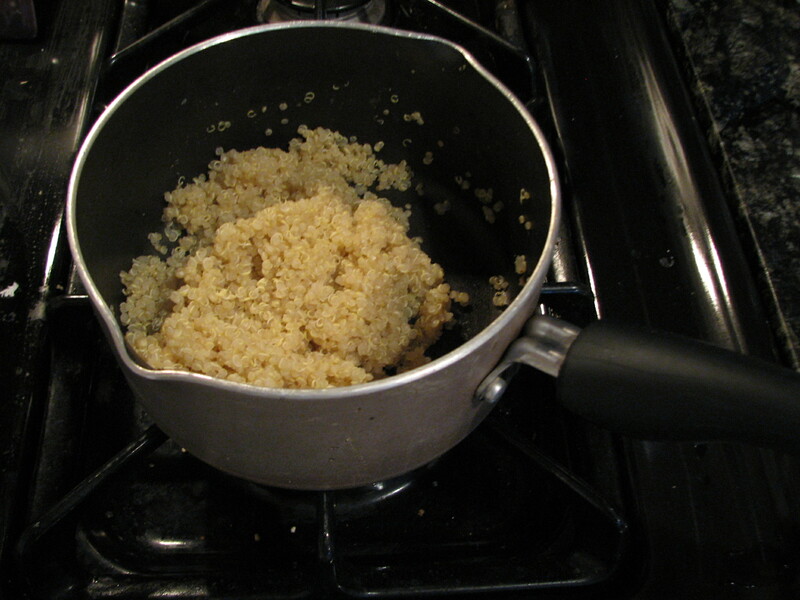 Kirstin, who passed along a fantastic steel-cut oatmeal shortcut a couple weeks ago, pointed me toward this amazing recipe for warm and nutty cinnamon quinoa, which I enjoyed for breakfast this morning. I subbed blueberries for blackberries and Truvia for agave nectar. Lara’s quinoa lunch wasn’t the only idea I took to heart when I asked for help with my ongoing quest to find running fuel that doesn’t irritate my sensitive stomach. 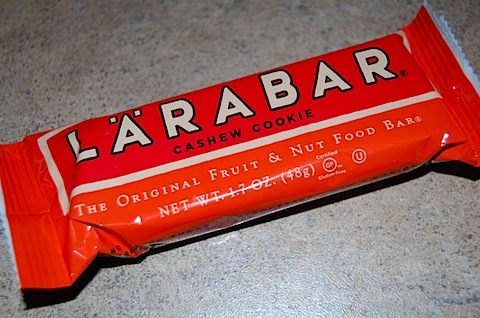 My afternoon snack yesterday was a Cashew Cookie Larabar, per Megan‘s suggestion. I’ll be trying a veggie and hummus pita next, per Heather‘s suggestion. Let me know what other stomach-friendly running fuel I should add to the list! It may not be the easiest thing on the stomach but it’s super tasty. I love Lara Bars, and that one is one of my faves! 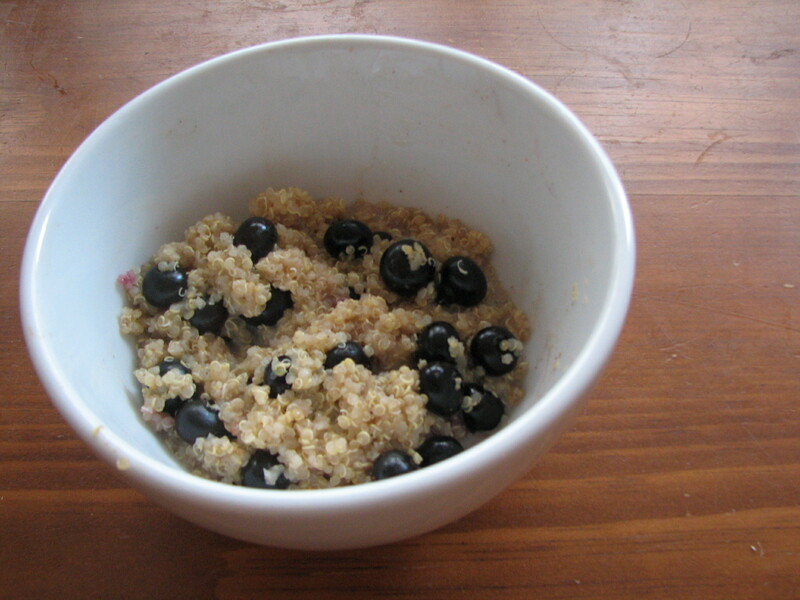 I can’t get into quinoa though – something funny about the taste. I wish I liked it though … it is SO healthy! We have all the same problems! Keep these awesome tips coming–I find them extremely helpful. keen-wah huh? i’ve definitely been pronouncing it “q-noah” haha.